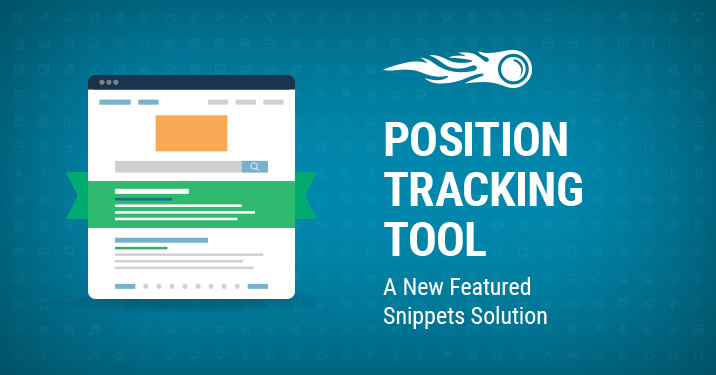 We have recently talked about SERP Features and how great it is to have them supported in our Position Tracking tool. Now we have come up with a new solution for gathering all useful data regarding Featured Snippets (FS) in one place. We’re excited to present the new Featured Snippets report, which you can find as a new tab in the Position Tracking tool. Let’s dive in. The idea was to show you keywords you should pay more attention to in order to get into a FS block. You will see a list of keywords on the left side of the report once you select a domain. This list shows keywords that have a FS on their SERPs, and it's very easy to work with. Selecting the Opportunities tab (which is selected by default) will show you keywords that your domain doesn’t rank for in a FS. By default the Opportunities tab is sorted by the difference in organic positions between your domain and a URL that currently resides in a FS. This allows you to get to the keywords with which it’s easier to win a FS. You may want to check out the special metrics for shown keywords. 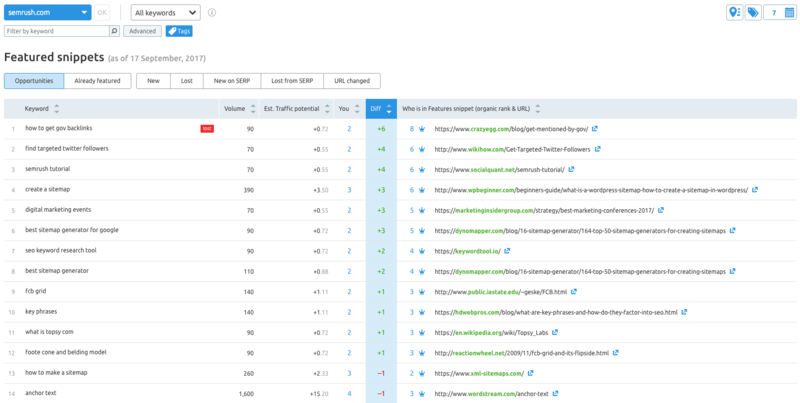 In addition to keywords' volume and current organic positions, you can see their Estimated Traffic Potential metric, which shows you how much traffic you will gain if/when you move up to FSs. Moreover, if you sort by this column, you can check out which keywords will benefit you the most if you were to reach a FS with them. Using the report's other tabs, you can view keywords for which your domain already ranks in a FS, new and lost keywords with FSs and so on. Handy keyword filters will also help you focus on the data you need.